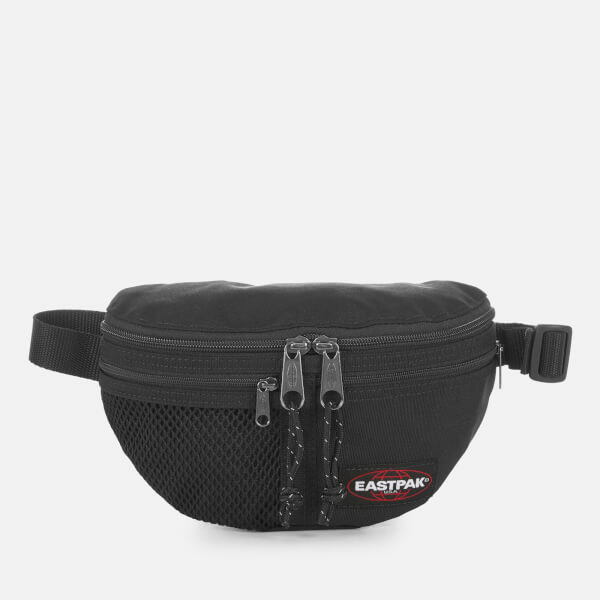 Black Eastpak bum bag made from durable nylon fabric. 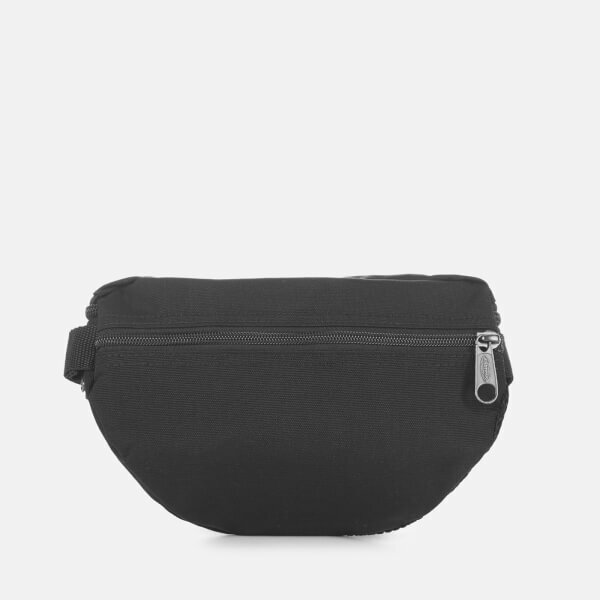 Sturdy and versatile, the 'Sawer' bum bag is the hands-free travel option with plenty of room for daily essentials. 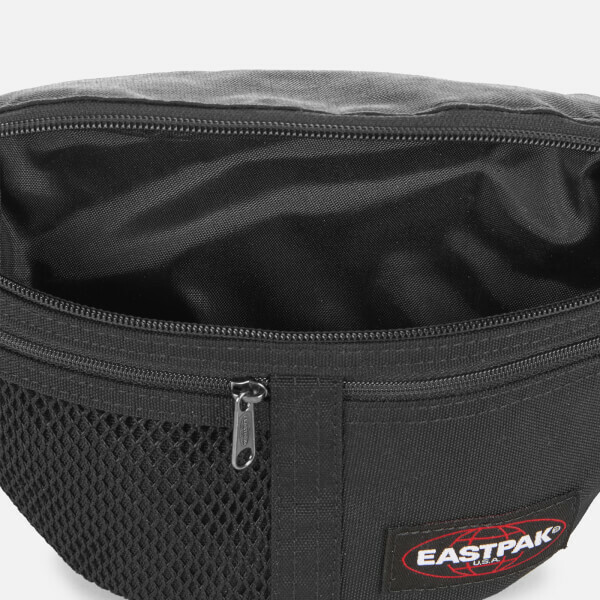 Designed with a two-way zippered main compartment and two additional zip pockets at the front, one mesh for visibility. 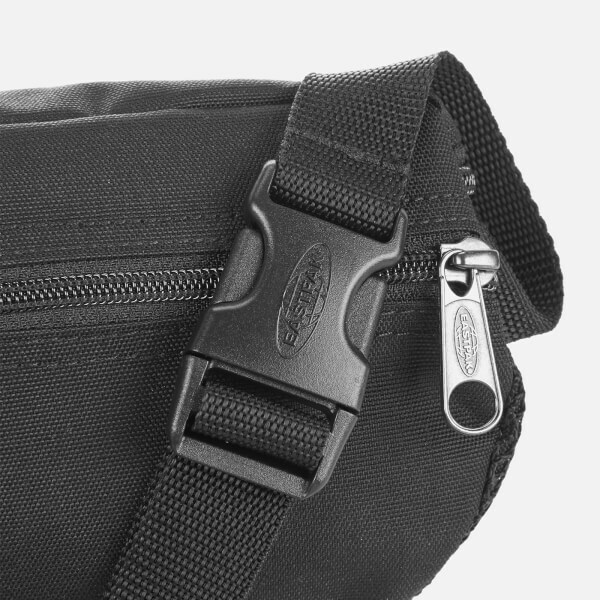 Finished with a back zip pocket for extra security. 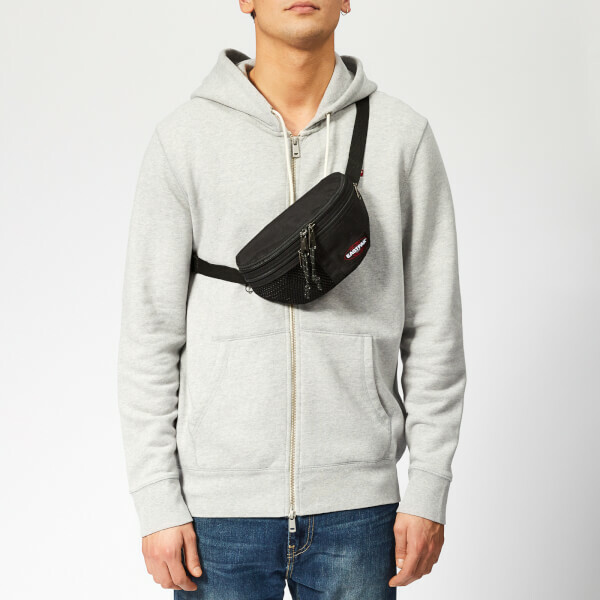 For versatility, the adjustable strap with buckle fastening can be worn on the shoulder or around the waist. 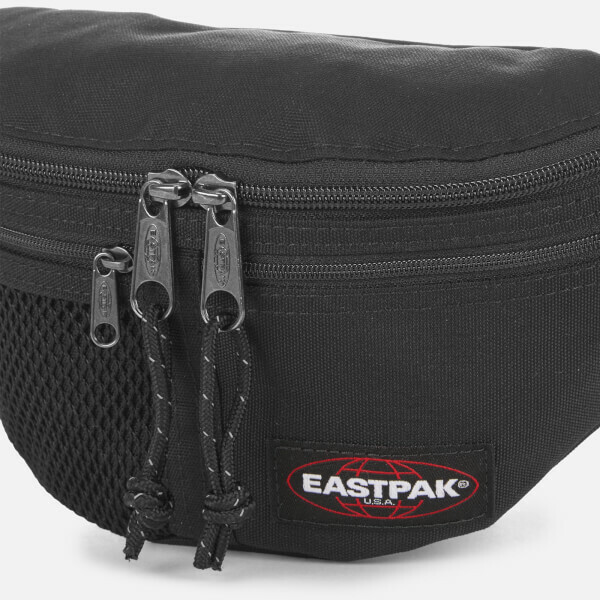 A woven Eastpak logo patch to the front completes the design.